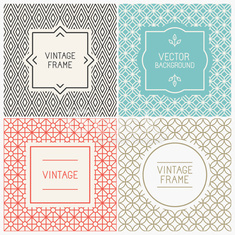 Vector mono line graphic design templates. Happy valentines day. Vector mono line monograms. U, V, W, X.
Vector mono line monograms. Q, R, S, T.